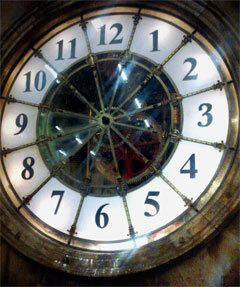 This clock face is 6m in diameter and was built as one of four for the top of a clock tower. Each segment unbolts into individual pieces with 3 removable window frames inside of each segment. With opening segments to allow access from inside to outside.